Professional golfer Jesper Parnevik and his wife introduced Tiger Woods to Elin Nordegren. Now he is not very happy with the revelations that Woods has had extramarital affair(s). Parnevik goes on to say he misjudged Woods character, admitting Tiger isn't the man he thought he was. He says perhaps Tiger shouldn't take Nike's slogan "Just Do It" so literally. Maybe just not do it in the first place. 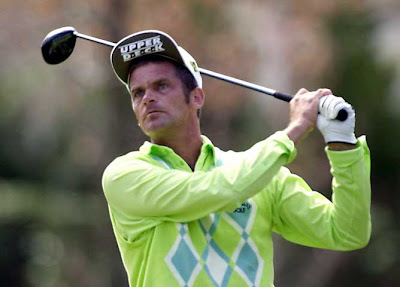 And if he does, Parnevik's advice to Elin on club selection is a good idea as well. But I think I would advise her to consider Smith & Wesson as opposed to Nike! Brandon Boykin: "Three's The Charm"
"Russ": Another "Damn Good Dawg"! Hey Mike Leach: What's Up? C.J. Spiller: An MVP For the "Thriller"
New York Yankees: A Team of "Luxury"